Enlocked™, Inc. has announced its next generation secure email encryption solution that brings military-grade email security to small businesses and independent professionals, without any of the complexities of traditional encryption technologies. 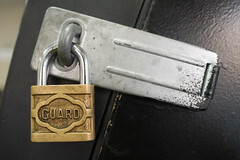 Users have become increasingly aware of the threat to their privacy, a result of mounting disclosures of data breaches and government monitoring. Despite that, email encryption has remained a cumbersome method to prevent the interception of secure digital communications and to comply with privacy laws. The latest release of Enlocked encrypts and decrypts messages locally on the user’s computer, tablet or smartphone with a key that can only be unlocked with the user’s secure passphrase – a passphrase that even Enlocked will never know. Messages are then sent over users’ own email services, so Enlocked never sees the unencrypted content. This means no one gaining access to a user’s email inbox, not even an email service provider or a government entity with a court order, can read Enlocked-secured messages. HealthPort, an industry authority on the HIPAA-compliant exchange of protected health information through release of information services and audit management technology, today announced key enhancements to its meaningful use (MU) certified EHR module, eSmartlog*, for both inpatient and ambulatory use. A majority of health organizations are under-prepared to protect patient privacy and secure data as new uses for digital health information emerge and access to confidential patient information expands, according to a new report released today by the Health Research Institute at PwC US. Old privacy and security controls no longer suffice to comply with existing privacy laws and patient consent agreements, says PwC. Health organizations need to update practices and adopt a more integrated approach to ensure that patient information doesn’t fall into the wrong hands. What’s the real source of HIPAA Violations in EMR Systems? I’ve spoken with a number of doctors and practitioners who are hesitant about storing EMR Data “in the cloud”. Inevitably these discussions lead to their number one concern which is security and the possibility of HIPAA problems. To try and help them keep an open mind about available product options I’ll try and make the case that the level of physical security in their office where records (paper or digital) are stored is far less than the security provided by a top tier cloud vendor. Recently released data by the The US Department of Health and Human Services seems to back me up. HHS has disclosed on its website all health record security breaches that have affected more than 500 people. The source data is interesting, but it’s even more interesting in graphical form. Michael Koploy at Software Advice has taken all of the breach data provided by the HHS and compiled it into easy to understand pie charts in his recent article titled HHS Data Tells the True Story of HIPAA Violations in the Cloud. According to Michael, the data shows that the vast majority of HIPAA violations weren’t instances of professional hacking or Ocean’s 11-esque intrusion. Most were a result of poor internal security, petty theft, or negligence. Redspin’s analysis focuses on single breaches affecting more than 500 people. Such large scale breaches must be reported on a timely basis to individuals, the media and the HHS Secretary according to the HHS Office of Civil Rights’ regulations. The regulations also require business associates of covered entities to notify the covered entity of such breaches at or by the business associate. 43 states, D.C. and Puerto Rico have suffered at least one breach affecting over 500 individuals. 27,000 individuals, on average, are affected by a breach. computers, network servers, and portable devices. 61% of breaches are a result of malicious intent. 66,000 individuals, on average, are affected by a single breach of portable media. 40% of records breached involved business associates. The healthcare industry is incented to adopt EMR/EHR systems by the HITECH Act, part of the American Recovery and Reinvestment Act of 2009. HITECH offers funding to incent providers to use EMRs/EHRs in ways meaningful to the improvement of patient health by 2015. To fulfill their potential to improve quality and control the cost of healthcare, EMRs/EHRs must transmit and receive patient data securely across the healthcare team. According to preliminary results of a survey released by the Centers for Disease Control and Prevention, as of December 2010, only 10 percent of office-based physicians used a fully functional EMR/EHR system. The HITECH incentives are expected to increase this percentage rapidly. As more and more health information is put into electronic form and shared across the healthcare system, the risk and impact of a security breach become more significant. In order to prepare for HITECH compliance in 2011, steps must be taken to strengthen safeguards for EMRs/EHRs and enable secure messaging of this valuable data. Below are five tips to help healthcare facilities prepare for HITECH regulations by ensuring secure messaging. By crafting appropriate secure messaging policy and creating an atmosphere for proper compliance, healthcare facilities can ensure they are on the right path to meeting the requirements of the HITECH Act. The above tips can assist in the deployment of secure messaging solution that can be configured to fully meet them and ensure regulatory compliance. As director of healthcare solutions at Axway, Ruby Raley partners with prospects, customers and the Axway team to develop solution strategies and business cases for pharmaceutical distribution, life sciences and care providers. Communication Software, Inc. (CSI), Portland, Ore., a mobile Health Information Technology (mHealth) and medical software engineering consulting company, has announced the release of their Cloud product, mHealthBridge mobile Health Information connection platform. mHealthBridge enables health information to be securely shared between patients and healthcare professionals on their mobile smartphones and wireless devices. Communication Software’s secure and cost effective innovations answers health system’s pressing need for physician connectivity. Communication Software product offerings provides turnkey secure mobile communication solutions for Smartphone applications, Web based applications, payer, provider, and health systems that need to share patient Protected Health Information (PHI) on cell phones and mobile devices. As well as provider-to-patient mobile wireless health information sharing. Communication Software Inc., a Software Development and Health Information Technology Consulting company has been developing software and providing technical guidance and leadership for start-ups to Fortune 500 companies since 1993. They have offices in Portland and Bend, OR. For more information visit their website www.comsi.com.